The 4 day Deluxe Tuli Big 5 Safari Package takes you into one of Botswana's best kept secrets. Discover a place where even the giant Baobabs and Elephants are dwarfed by the wilderness. 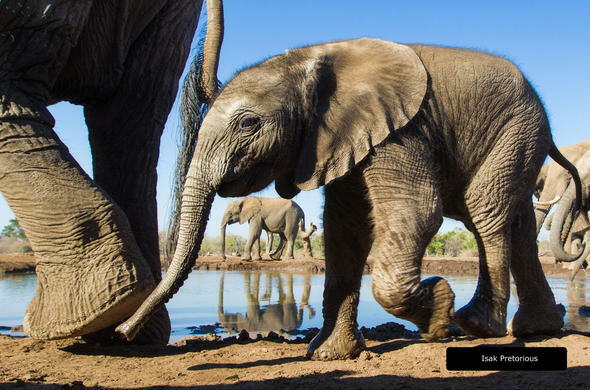 This Botswana Big 5 package has no set departure dates and includes return flights from Johannesburg to Polokwane as well as a connecting road transfer. The 4 day Tuli Big 5 Safari Tour, allows you to experience the majestic skies and humbling terrain of the Tuli region. 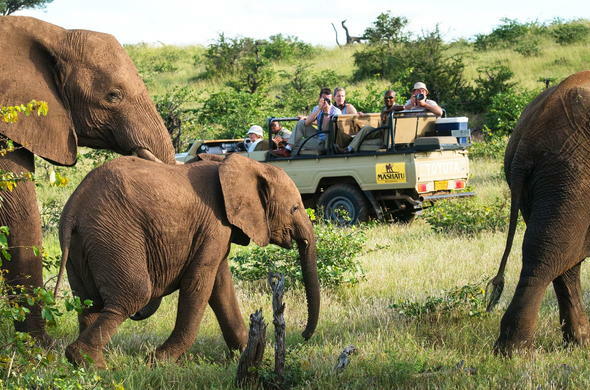 Explore the area on intrepid game drives and bush walks or even go on a cycling safari, led by experienced guides who will teach you about the flora and fauna of the region. You can discover what sets the wildlife of this area apart while staying in one of Southern Africa's largest private game reserves. This reserve is sanctuary to not only the Big Five including the world's largest land mammal and the King of the Beasts, but also to other creatures that are exceptional for their species, such as the Giraffe, Eland, Ostrich and Kori Bustard. On the first morning of your 4 day Tuli Botswana Safari, you depart from Johannesburg on a scheduled flight in the morning to Polokwane in the Limpopo Province of South Africa. From the airport you catch a road transfer which will take you northwards, through some of the most beautiful scenery in South Africa to the border post at Pont Drift. This transfer will take approximately 2 hours. At Pont Drift border post you proceed through immigration, after which you'll be met by a representative from the bush camp. You will then be transferred to your camp in the magnificent Tuli area of Botswana. You'll be welcomed with refreshments and later you can enjoy a delicious high tea before embarking on your afternoon game drive. This will be led by an experienced guide and tracker who will track the abundant wildlife that lives in this area. The next 2 days revolve around game viewing adventures and other camp activities. After an early wake-up call, you set off to explore the awe-inspiring Tuli Block region. The scale of the landscape is stunning and even the Elephants are dwarfed. This is a pristine tract of Africa that harkens back to an age gone by. A prominent feature of the landscape is the regions massive trees, especially the iconic Baobabs, as well as its vast ravines. The area abounds with wildlife and you really get the sense that this is the very soul of Africa. 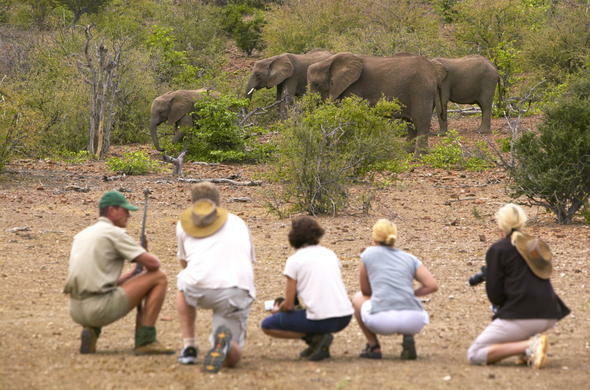 You will discover the region while on day and night game drives, led by experienced guides. You'll enjoy refreshing sundowners in a scenic location in the reserve, before returning to camp and enjoying a delicious meal out under the stars. 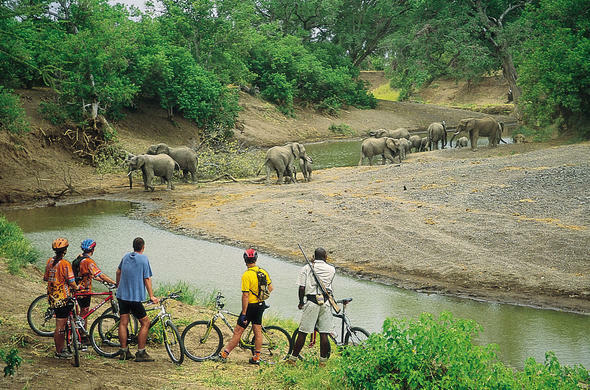 Other optional activities include horse riding, walking and cycling safaris and a cultural village visit. On guided bush walks you will have the opportunity to learn about the ecology of the region and see the bird life. This is the final day of your Land of the Giants Tuli Safari. You will have one last chance to enjoy an early morning game drive. On return to the camp there will be time for a quick brunch, before checking out and saying goodbye. You will be transferred to the Pont Drift border post, and then taken by road back to Polokwane Airport for your flight onward to Johannesburg O.R. Tambo International Airport. This 4 day Classic Tuli Big 5 Safari Package is calculated per person sharing a room and includes scheduled flights ex/to Johannesburg O.R. Tambo International Airport, road transfers, meals and game drives.